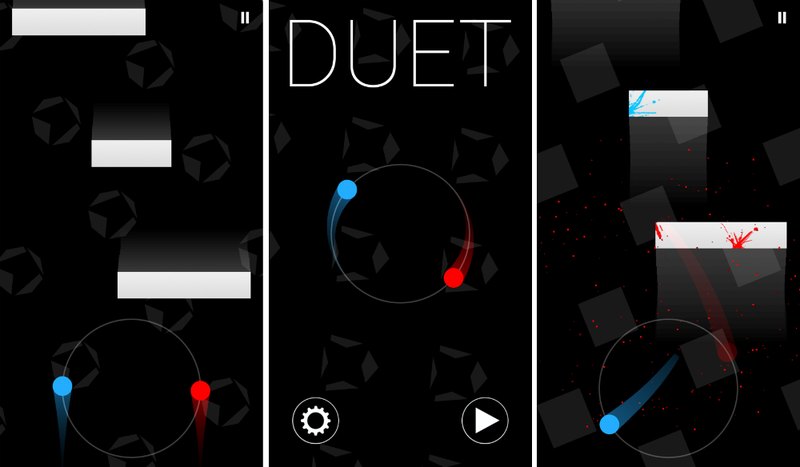 A new game is available through Google Play, titled Duet, which is free to download for anyone who might fancy themselves a touching story of two dots. In the game, you control two dots on a rotating circle. You must rotate them with your thumb at the right moment, dodging blocks that fall from the top of the display. Interestingly, there is a woman’s voice in the game, guiding you through a fictional tale as you move along through various levels in the game. The animation and gameplay is surprisingly awesome, and better yet, the balls will explode with color when they hit a block. It’s actually quite pretty when this happens, considering the game is quite bland in terms of scenery. The game is free to download, but feature IAPs to unlock a “full” mode, priced at $2.99.